The last cast of the trip occurred in Montana. A big snowstorm was due to hit the next day. I was right on the bull's-eye. I was told about a nice piece of public land. As I drove up, the temperature was 43° and it was drizzling. Pretty much perfect birdhunting weather. I took a Ace and Bandit. I turned them loose and started to cross the fence. Halfway over the fence I looked up and noticed both dogs on point! I kicked up a covey of Hungarian partridge. All but one of them escaped. Ace made a nice retrieved hand and then took off up the edge of the wheat field. Not long after, he had another point out in the wheat field at 265 yards from me. He was locked up on a sharpie. Another bird in the bag. 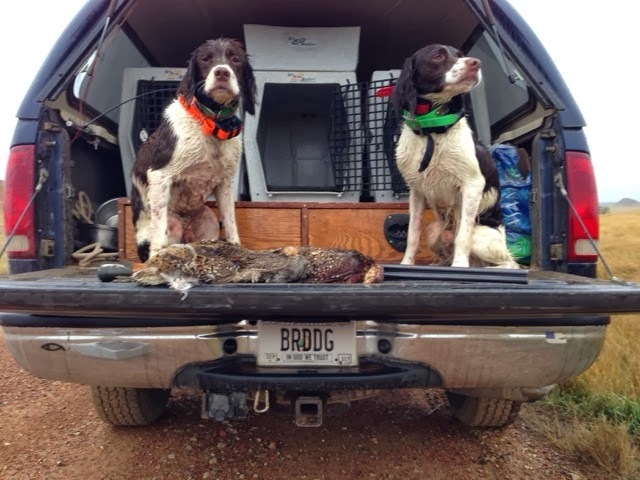 After another covey of sharptails and several pheasant, we were finished. Both dogs did exceptionally well. I dried them off and loaded them up and went in search of lunch. 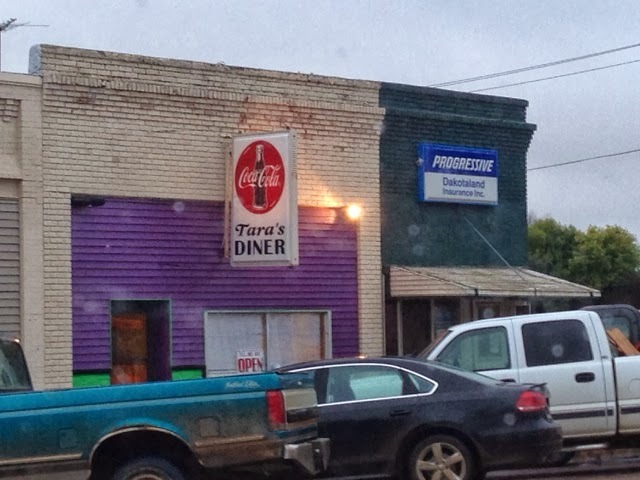 Every little town out here has a main street café. I hit this one for breakfast. The usual group of farmers had their table, as they talked about the usual stuff. I heard opening-day mentioned it several times. I knew I was among fellow Bird Hunters. So, I loaded up and started the long drive home. Snow and rain chased me out of Montana and the Dakotas. It was time to go home, rest the dogs, and plan another trip.